Aric Almirola started Stage 1 in the sixth position at Chicagoland Speedway in Joliet and completed it in first to earn 10 stage points and a playoff point. On lap 31 Almirola was in the third position and reported that he “needed more rotation,” but he continued to maintain the track position. On lap 40 the 34-year-old made a scheduled green-flag pit stop for fuel, four tires and adjustments. After pit stops cycled through, Almirola gained the lead. Almirola maintained the lead through lap 80 to earn the first stage win of his Cup Series career. Before the start of Stage 2 Almirola visited pit road for four tires and fuel, reporting his No. 10 machine was handling well, and he began Stage 2 in the third spot. Within a few laps, Almirola had retaken the lead. He had to work to stay in front of teammate Kevin Harvick to sustain first place. 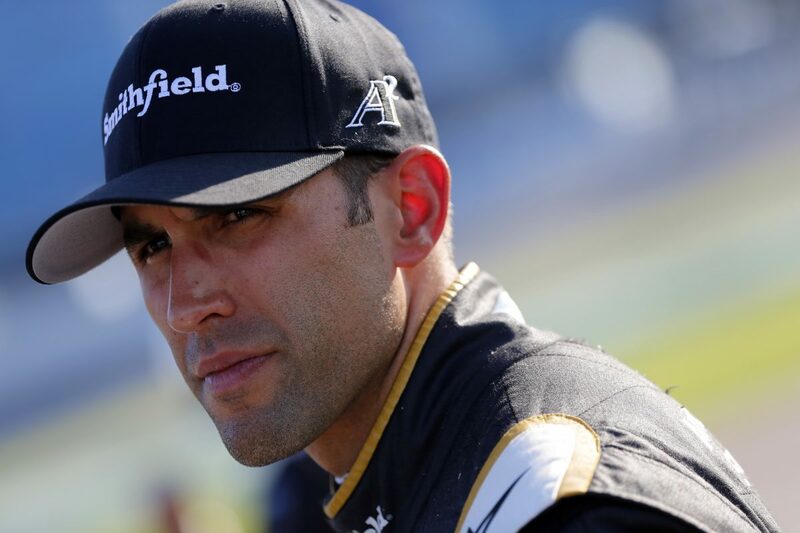 While leading, Almirola reported a vibration and was forced to make an unscheduled pit stop on lap 141. He returned to the track one lap down but in the position to be the beneficiary of the free pass. The crew confirmed Almirola’s vibration was due to a loose wheel. Almirola ended Stage 2 in 26thand was given the free pass. Before the start of the final stage, Almirola came down pit road for four tires, fuel and adjustments and started the last stage in the 26thposition. Once the green flag waved for the final stage, Almirola passed multiple cars and worked his way back up through the field. When the caution flag waved on lap 178, Almirola didn’t visit pit road, and he restarted in the second position on lap 181. The Tampa native worked to maintain track position while other racecars with fresher tires were faster around the track. On lap 209 the final caution of the race was displayed, and Almirola was relieved to come down pit road from the 10thposition. His No. 10 Smithfield Ford received four fresh tires, fuel and adjustments. Almirola restarted 11thon lap 212 and was maneuvering his way up through the field in the top-10 when he felt another vibration, leading him to make another unscheduled pit stop on lap 221. The crew confirmed again it was a loose wheel. The No. 10 Ford driver returned to the field one lap down in the 25thposition. Unfortunately, a long green-flag run ensued and Almirola was trapped a lap down for the remainder of the race, ultimately finishing 25th. Almirola finished first in Stage 1 to earn 10 bonus points and one playoff point. It was the first stage win of his career. Almirola led four times for a race-high 70 laps to increase his laps-led total at Chicagoland to 76. The tally eclipses his laps-led total from his past five Monster Energy NASCAR Cup Series seasons combined.